With great historic place like Porbandar and religious place like Somnath, planning a weekend tour from Ahmedabad from these places can be a good idea. Right from Kirti temple, Gandhi Museum to Sudama temple, there are many attractive places in Porbandar grabbing the attention of the tourist from all over the world. Further, visiting the Somnath temple and Bhalka temple will allow you to worship Lord Krishna and find peace and sanity. 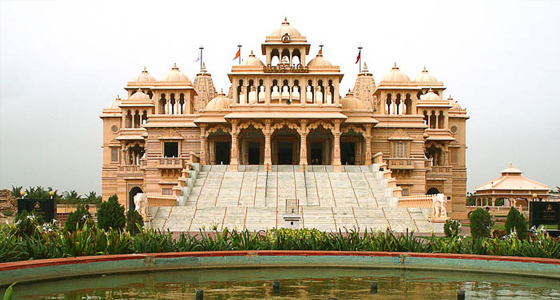 At Tour My India, we offer an incredible weekend tour from Ahmedabad to Porbandar and Somnath. Our Ahmedabad Porbandar Somnath Weekend Tour of 2 nights and 3 days will give you a chance to make your weekend a special one where you can explore more about the Father of the Nation – India, Mahatma Gandhi along the legend stories of Lord Krishna of Somnath. In the morning, we will drive to Porbandar. On arrival, check into the hotel. After fresh-n-up, we will visit the Kirti temple, the birth place of Mahatma Gandhi (The Father of Nation). The House of Kasturabba Gandhi, the wife of Mahatma Gandhi, is located just at the back of the Kirti temple. Further, we will visit the Gandhi museum, study room of Mahatma Gandhi and Sudama temple. An overnight stay at the hotel. After breakfast, we will leave for Somanth. On reaching Somnath check into the hotel. After fresh-n-up, we will visit Bhalka Tirth. In the evening, we will visit for Aarti and Darshan at Somnath Temple and enjoy lighting and sounding show. Later, we will come back to the hotel for an overnight stay. 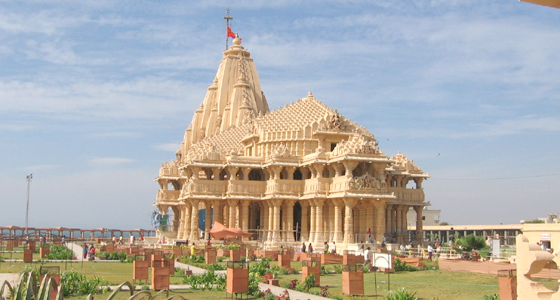 Somnath is the renowned temple of Lord Shiva situated near Veraval in Suarastra. It lies on the western coast of Gujarat state of India. The shrine at the Somnath temple is of one of the twelve Jyotirlingas of Lord Shiva. It is believed that the temple appeared first in gold on the command of moon god. Next, the temple appeared in silver on the command of sun gold and then in wood at the command of Lord Krishna. Finally, the temple appears in stone which was built by Bhimdeva. Currently is the 7th temple, which was built in the same old style. Bhalka Tirth is the place where Lord Krishna was resting in the shed of a tree and he was hit by an arrow on thumb of his feet. The arrow was shooted by hunter jara. The story goes that Lord Ram killed Vali as Vali had abducted his brother Sugreev's wife. Vali asked Lord Ram why he killed Vali when Vali had not done anything bad to him. So in return Lord Ram said that in his next Avataar (Lord Krishna), he will be killed by Vali's avataar (the hunter) and thereby avenge his unjust death by Lord Ram. Further, we will visit Triveni Ghat, the adjoining point of three rivers namely Kapila, Hiranya and Sarawati. After breakfast, we will leave for Ahmedabad. On arrival at Ahmedabad, we will drop you at your desired location.